Developing an operating budget can help growers keep their blackberry and raspberry operations profitable. N.C. State University has developed and compiled sample operating budgets to guide North Carolina blackberry growers in tracking, maintaining and managing their business costs. The documents provided below represent the estimated costs associated with production, harvest and marketing for commercial blackberry operations. Costs can vary greatly depending on the operation. Contact your local Cooperative Extension agent with questions or to request more information regarding North Carolina brambles. Extension agents and growers are able to estimate production costs by entering cost estimates into these budget spreadsheets. Since expenses such as machinery, materials and labor vary by operation, these spreadsheets are designed to automatically calculate estimated business costs, returns and breakeven values based on the data a grower inputs. Sample budgets with production cost estimates for the first three years are also included. This budget presents the estimated costs of producing and harvesting blackberries in the Southeastern United States that can be useful for farmers considering starting a commercial operation or expanding an existing operation. The budget was developed for a representative one acre planting with drip irrigation. Sample worksheet gives you an idea of the cost of producing, harvesting and marketing blackberries in North Carolina. It includes worksheets for machinery, materials, yields, labor, production costs and returns. An in-depth financial analysis and overview of the operation is given based on the numbers you plug in. This article from the University of Arkansas shares in-depth insight into changes in the blackberry market since the 1990s. The authors assert that the Southeast has emerged as a major blackberry supply source. Read more to find out about this growing market and factors that contribute to, amongst other issues, fluctuating blackberry prices. The article is available in its entirety beginning on page 8 of the newsletter to which this post links. Dr. Charles Safley, N.C. State University, provides a detailed overview of the economic outlook for the blackberry industry. The presentation was originally delivered at the 2009 Southeast Regional Fruit & Vegetable Conference. This budget represents the estimated costs of producing and harvesting primocane-fruiting raspberries in North Carolina. The cost estimates are given on a per-acre basis. Growers should refer to the tabs at the bottom of the spreadsheet to go from one section of the budget to another. 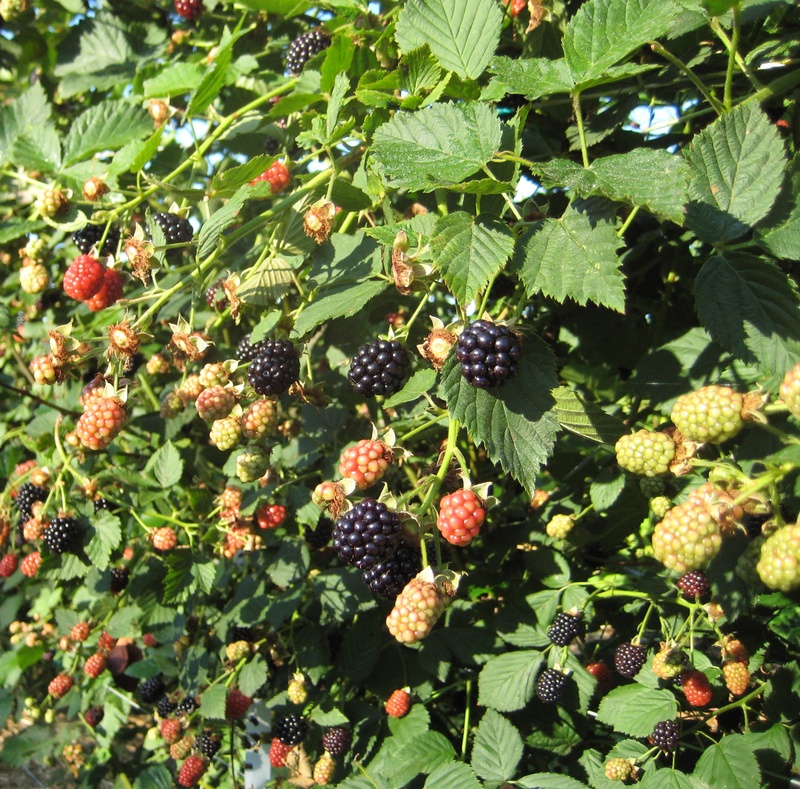 The North American Raspberry and Blackberry Association (NARBA) conducted a pricing survey of blackberry and raspberry fruit in different locations across the country. The survey indicated that pricing varies by region, farm and pricing unit (pint vs. pound). Charles Safley and Gina Fernandez prepared a budget to compare the costs of 4 trellis systems: 1. V-­‐Trellis with Metal Posts, 2. T-­‐Trelliswith Wood Posts, 3. T-­‐Bar Trellis (Prefabricated Rebar)4. Shift Trellis. The talk was presented to the North American Raspberry and Blackberry Conference in 2011 in Savannah, GA.